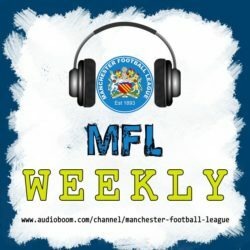 The Manchester Football League has joined forces with the talented Ben Hughes of FCUM Radio to bring to you MFL Weekly to help raise the profile of amateur football clubs across Greater Manchester. On MFL Weekly, Ben will be joined by the Manchester Football League’s media officer Simon Harrison to examine results and preview the upcoming fixtures in addition to any current topics. The Manchester Football League covers a 30-mile radius from Manchester city centre, and currently it consists of six divisions, only three of which are part of the English football league system. The Premier Division has a promotion/relegation arrangement with the North West Counties Football League, placing it at level 11 of the English football league system.